← Lemon Grilled Chicken With Creamy Fettuccine Alfredo. Dreamy Music From Tu Fawning. Eight year olds love that. They also love Cake Batter Ice Cream Bread. 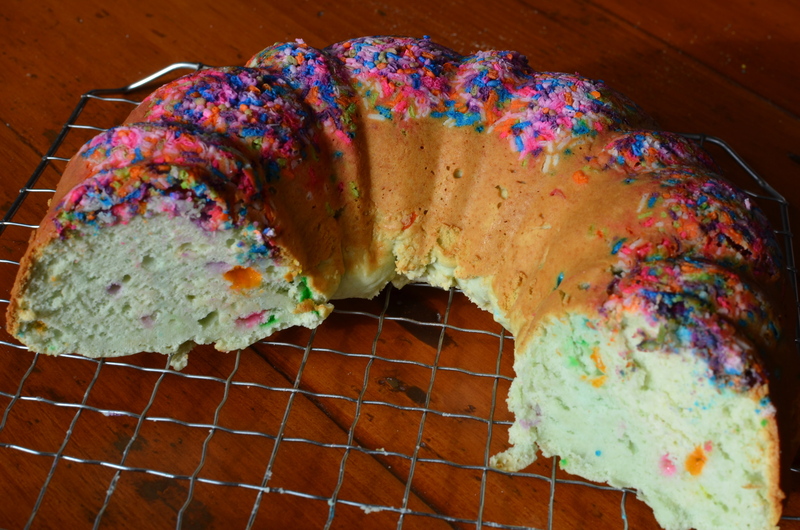 One of the early recipes I shared when I started this blog was for Ice Cream Bread. I used Cinnamon Bun flavored ice cream and the bread turned out so good. 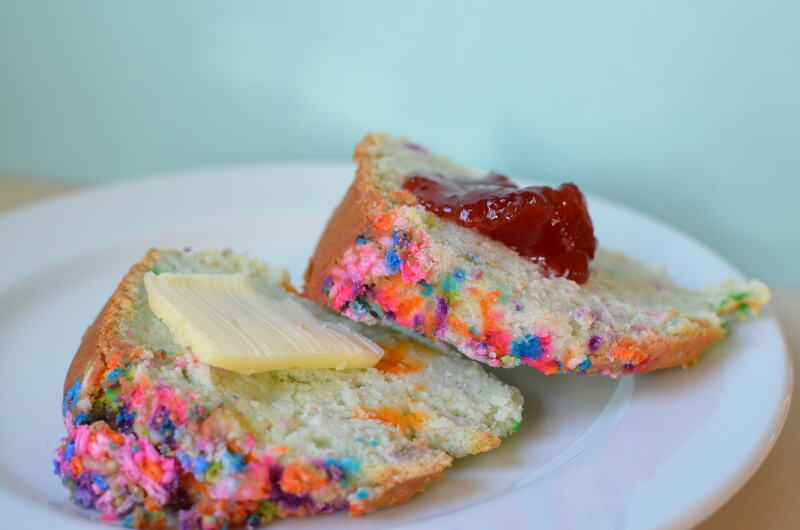 I kept meaning to try other flavors, but it wasn’t until I happened upon this photo of Cake Batter Ice Cream Bread that I knew what I had to try next. 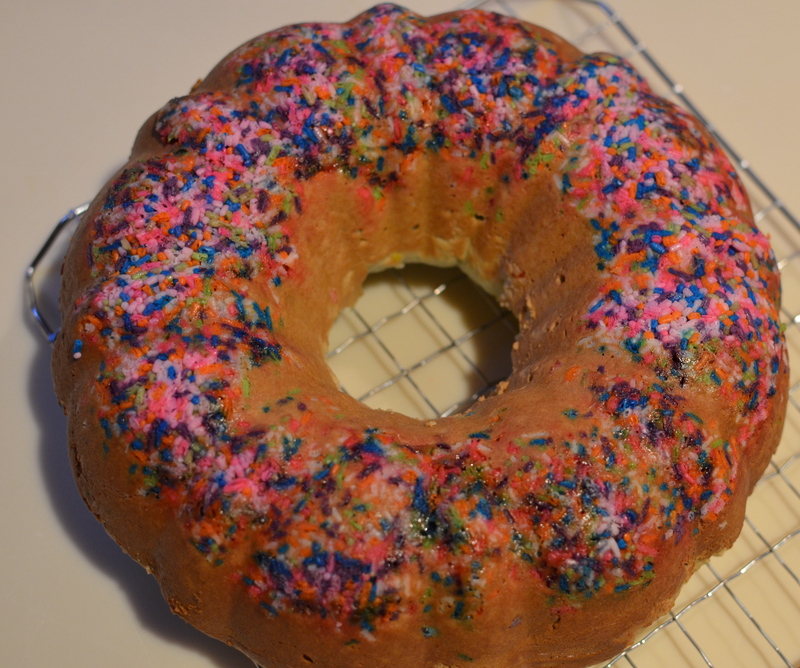 The sprinkles make the bread look so festive. 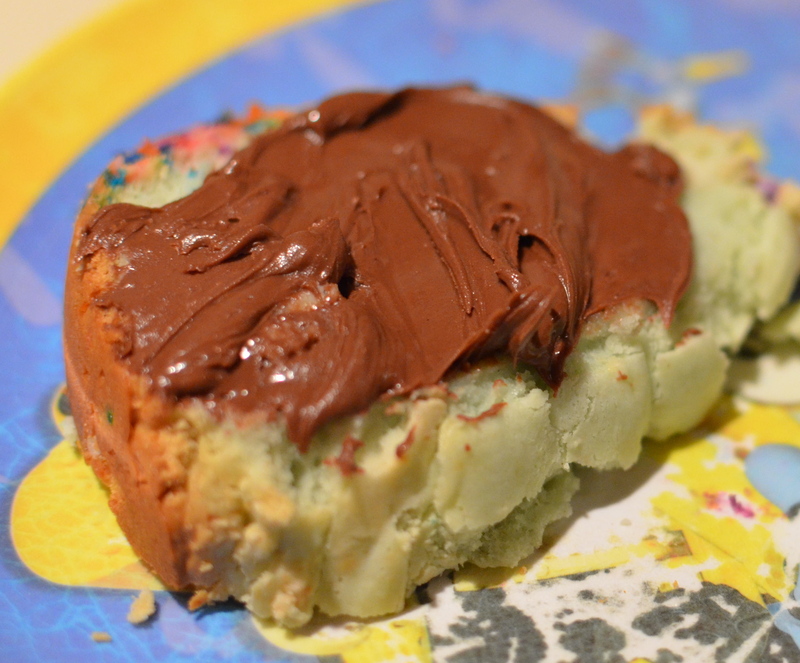 The cake batter flavor is subtle and slices go well topped with your favorite spread. Or just eat it as is. Three ingredients. 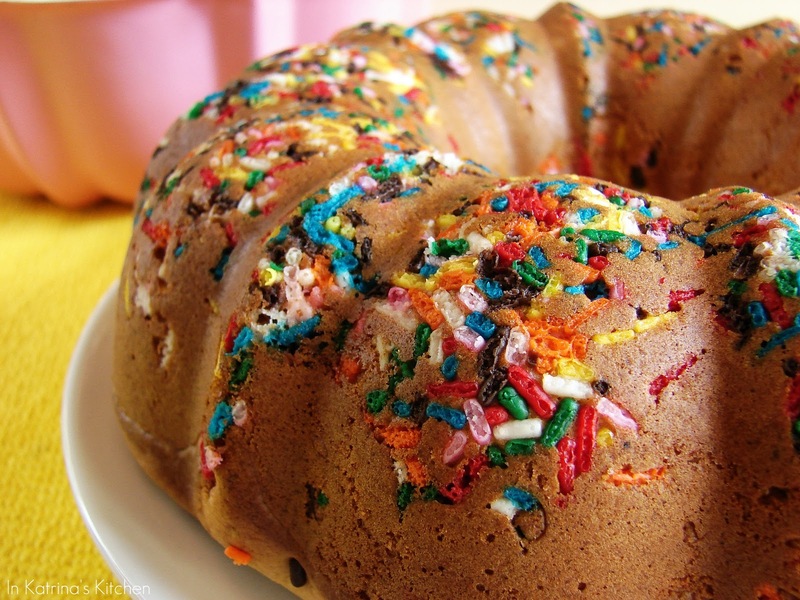 Two, if you omit the sprinkles (but, don’t). 1. Preheat oven to 350℉. 2. Let ice cream soften at room temperature for 10-15 minutes. 3. 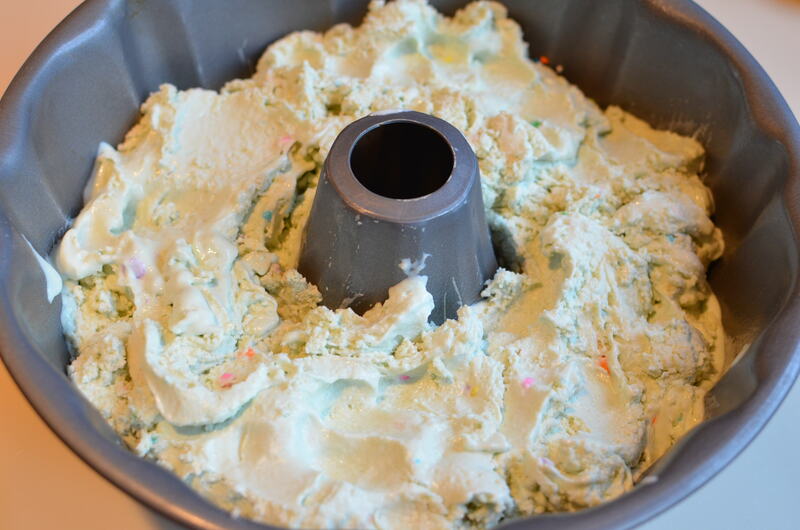 In the bowl of electric mixer combine ice cream with flour until the flour is incorporated. 4. 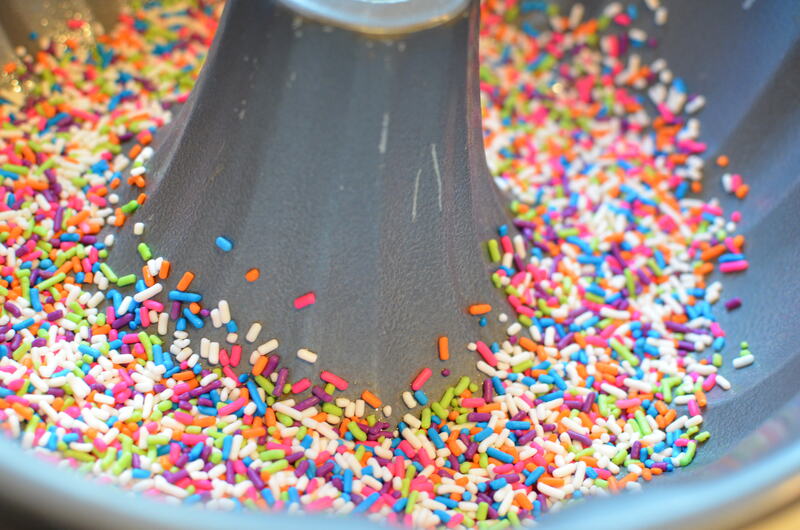 Evenly distribute sprinkles in the bottom of a greased Bundt pan and scoop batter evenly on top. 5. Bake for 35 minutes until a toothpick inserted comes out clean. 6. Invert and allow to cool completely. 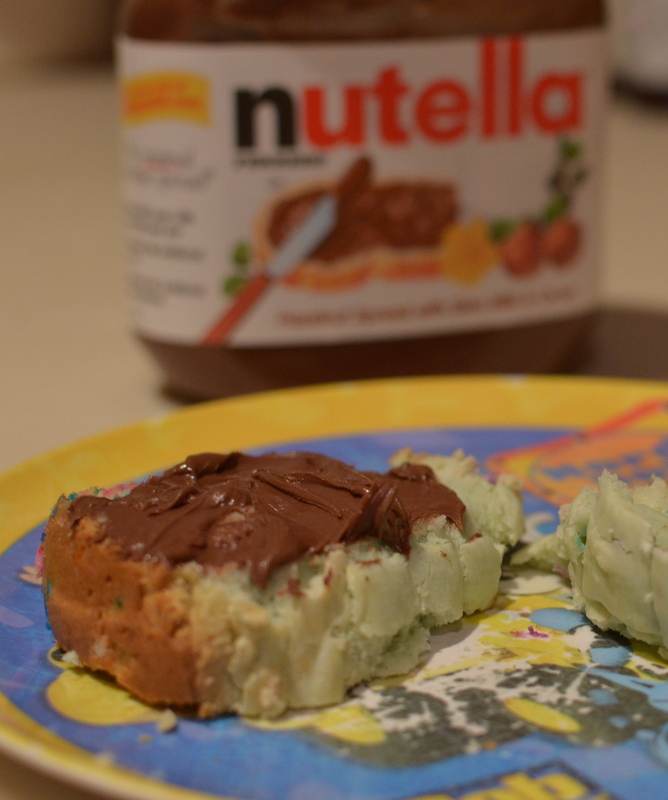 Note: You can use any flavor of ice cream, although the light kind is not recommended. Yummy with some butter and strawberry preserves. Mmmmm. Nutella was good with the bread, too. Now this is Friday music. And it is short. Every song titled “Someone Like You” screams SWEET. Check out High Pop on Facebook, their Website and on Bandcamp, where you can buy the music. You can learn more about AM & Shawn Lee on their Website. Check out 2012 tour dates and buy the music there, too. This entry was posted in Bread and tagged AM & Shawn Lee, High Pop. Bookmark the permalink.